For Trevor Brody, financial planning isn’t a one-time event; it’s an ongoing process that requires honest and open conversation. Understanding that no two clients are alike, he believes his responsibility is to craft customized strategies tailored to each client’s unique needs and circumstances. He enjoys connecting with clients on a personal level and building strong, multi-generational relationships, listening to their concerns and offering ongoing support. 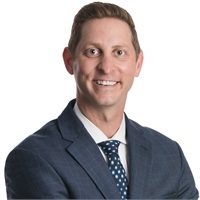 As a Wealth Manager with Coe Financial Group, he frequently works with a diverse range of clients, from young families and Millennials to pre-retirees. With more than 14 years of experience in the financial services industry, he is well-versed in comprehensive financial strategies, from college planning to retirement planning to insurance. As an independent advisor, he is focused on making recommendations that have the client’s best interests in mind. Trevor holds FINRA Series 6, 63, and 65 securities registrations and accident, health, casualty, fire, life and long term care insurance licenses. He received his Bachelor of Business in Computer Information Systems from Western University. Outside of Coe Financial Group, Trevor is actively involved in his community. He serves on the committees of Special Kids Network & Helping Hands Network while helping other local non-profits connect with the community, connect with sponsors, and determine donors when possible.